The classic contrast of black and white at work here. 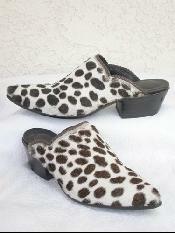 These mules are made from black calf with white calf inlays. 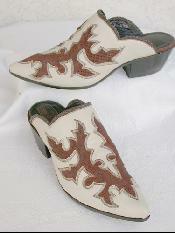 Then white accent stitching was used to further liven the pair. The heartiest of our hides at Falconhead is stingray. The texture and elegant appearance of caviar, with a sheen and sparkle that only stingray can offer. 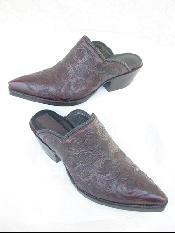 Lined in soft kangaroo leather for barefoot comfort. Handmade. Inspired by the coast of Oregon and colored to reflect thusly. 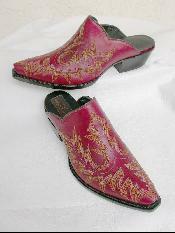 Completely hand tooled and beautifully colored by hand. Brought to you by Tres Outlaws and Scott Wayne. If you have ever driven by a field of sunflowers you know how majestic they can be. 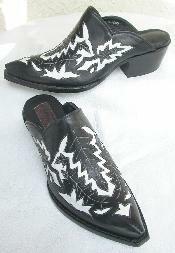 We have tried to capture that feel here in hand tooled mules. Completely handmade in our El Paso facility. Scott Wayne. 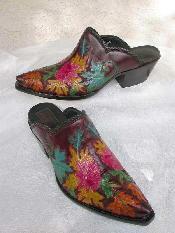 Gorgeously hand tooled and whimsically colored. 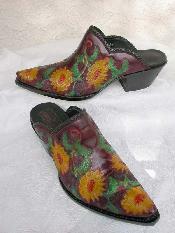 Tip toe through the tulips, with these mules. The latest from Mary Margaret at Tres Outlaws. Featuring 12 rows of stitching; "Big deal". You say. Well let me tell you this is extremely difficult to do; so there. Handmade. 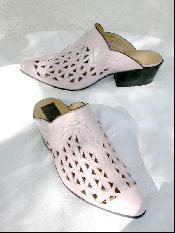 The latest from the design studio at Tres Outlaws, Scott Wayne brings you the pale pink soft calf that has been burning up the runways. Finished with braided kangaroo and also lined in kangaroo. Gorgeously tooled and wonderfully created for your enjoyment. As with all of the boots from Falconhead; completely handmade. Wonderfully textured ostrich leg in subtle shades of green. 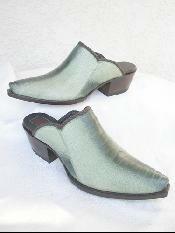 This pair has been accented with contrasting green tint. 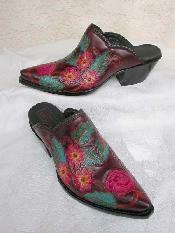 Completely handmade and lined in kangaroo for barefoot comfort. 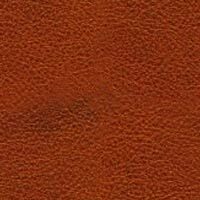 Soft suede in rich brown. Wonderful bone calf for decoration. Western styling. 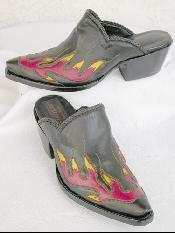 Hot to look at, but cool on your feet. 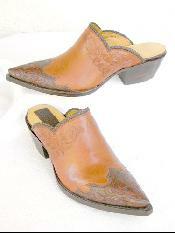 Leather lined and handmade in our El Paso factory. Our number one best seller. The classic western tradition lives on in this Scott Wayne design. Grrr. All bite and no bark this print is computer generated. 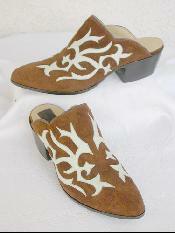 Cowhide with the hair left on is then printed with this excellent pattern. 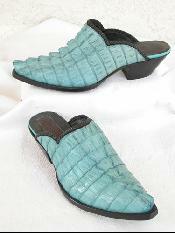 Just like great turquoise jewelery, crocodile mules in the same jewel tone.